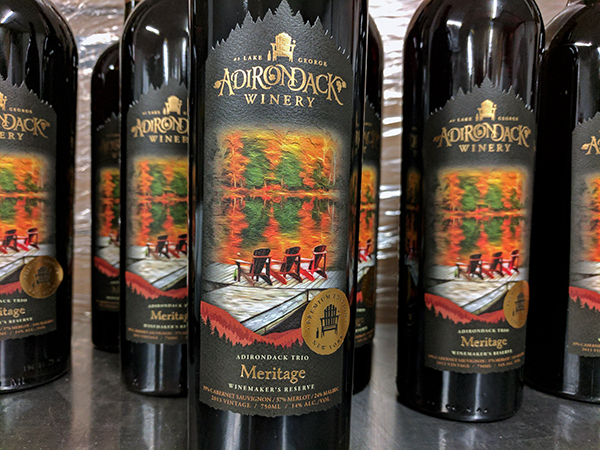 On behalf of everyone at Adirondack Winery, we are proud to introduce the most exclusive wine we have ever made! The Winemaker’s Reserve version of our award-winning Meritage represents an artful blend of Merlot, Cabernet Sauvignon and Malbec grapes. Aged in First Vintage American Oak Barrels for more than three years, our Winemaker’s Reserve Meritage is a limited production wine. 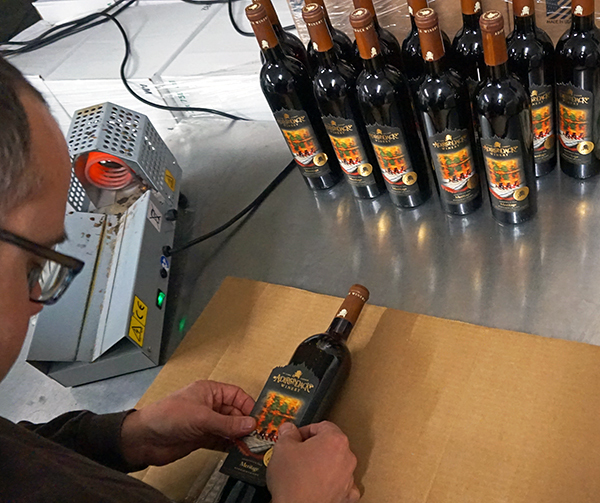 Only 500 bottles were made, each bottle numbered 1-500, labeled by hand, and signed by our winemaker, Michael Pardy! This medium-bodied, dry red wine delivers intense oak, vanilla and raisin aromas, followed by a velvety mouth feel with complex flavors of dark red berries, dry earth and a lively spice, ending with an enjoyably long buttered toast finish. We invite you to be one of the first to enjoy our most exclusive wine ever as we celebrate our 9th Anniversary this upcoming weekend. Samples of Meritage Winemaker's Reserve will be available for free during the reception at our Wine Dinner (Saturday, April 8th), and for sale as a premium option on our standard tasting menu at the Tasting Room all weekend! Can't make it to our Anniversary festivities? Meritage Winemaker's Reserve will be available online Monday, April 10th.